Have You Started Your 2019 Technology Planning? Making the right IT planning decisions can often more appreciably advance a business’s core goals and yield a faster and more substantial ROI than can more traditional choices of capital upgrades. 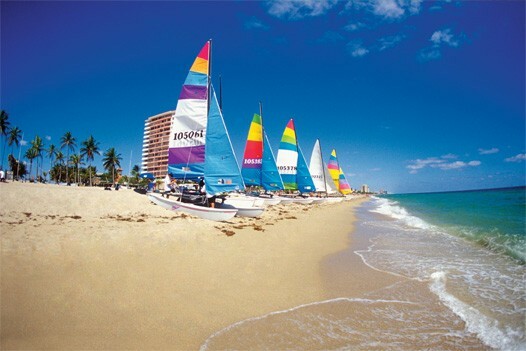 So, this the season for year-end strategic IT planning for the upcoming budget year. As you look forward into the next year of the digital age, now is not the time to stick a metaphorical lump of coal in your digital transformation stocking, as you allocate your growth resources down the budget line items for 2019. After all, consider how good your technology has been for your business this year. And, if it’s been bad, all the more reason to put more resources into maximizing its performance for your company. 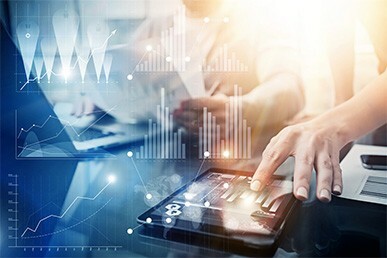 Making the right IT planning decisions can often more appreciably advance a business’s core goals and yield a faster and more substantial ROI than can more traditional choices of capital upgrades. An IT upgrade is a systemic improvement, which means it’s always a high-value contributor to efficiency and risk-reduction. It would be challenging to name a KPI, or virtually any business metric that is not directly or indirectly positively impacted by improved business technology. So, by all means, budget this December to give the best gift you can give your business, your staff and yourself in 2019 and beyond—continuing to advance your operations toward greater digital maturity. Below are a few useful tips for small to medium-sized companies looking to include leveraging technology in their year-end 2018 strategic business plan for next year. 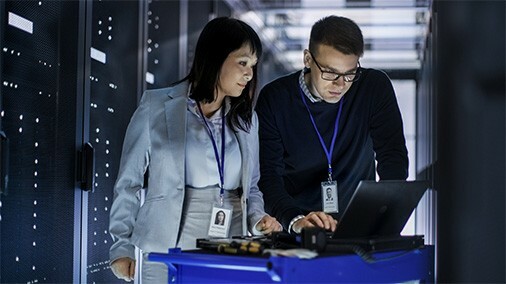 There is an enormous opportunity for a business to increase overall operational efficiency by leveraging business technology to streamline processes, speed up turn-around times, manage the backlog, enhance data security, improve communications, empower teams, elevate company culture, and enhance customer experience and satisfaction rates. Strategic upgrades to IT systems can increase communications quality company-wide, inform leadership strategy, and facilitate increased effectiveness of your company’s marketing, sales pipeline, forecasting, production workflow management, task tracking, order information transfers, shipping processes, supply chain management, HR recruiting and personal engagement, R&D, accounting, customer services, collections, and so on and on. 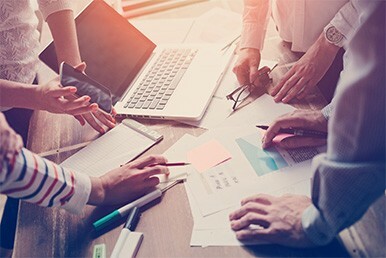 If any of these functional areas are currently not optimally facilitated by your IT, then consider which are the highest-value targets for tech upgrades, and make 2019 your year to bring more departments up to date with feature-rich, user-friendly online platforms that connect departments, eliminate paper processes, empower employees with shared information on current procedures and customer account histories, and enable people to work remotely with full access to necessary company files and tools. Voice-over-internet-protocol business telecom systems offer modern small and medium-sized businesses the same competitive edge that so dramatically benefits their largest competitors, all with much less upfront equipment cost and lower monthly phone bills than for traditional phone systems. Office 365 is the hosted, cloud version of the regular Microsoft Office suite, plus a wide selection of other Microsoft applications for end users. It also offers intuitive applications for IT administrators. Both end users and Office 365 administrators are empowered with remote access to work files, emails and other business tools for broader collaboration. CRM platform software integrates information systems across relevant departments, providing shared access to customer communications records and account information, production workflow processes, warehousing, shipping, problem resolution records and much more. CRM automate standard marketing and sales communications, sales activity scheduling and many other routine customer-related tasks. CRM integration enables much more efficient collaboration on improving customer relationships. SaaS CRM offer even easier deployment, and greater scalability and affordability, making CRM technology much more accessible to smaller businesses. 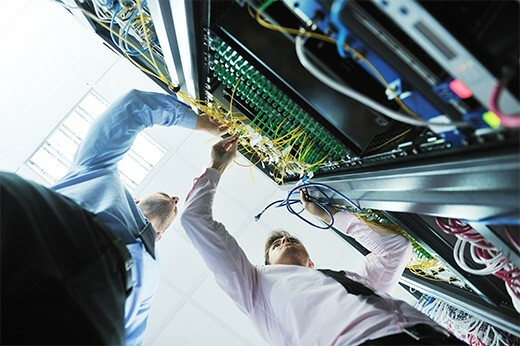 Proper management of a company’s network and IT systems avoid severe risks to revenues, customer services, data security and brand reputation all resulting from prolonged downtime. An absence of sound routine IT monitoring, maintenance and management can also lead to expensive emergency IT services. Outsourced Managed IT Services generally cost less for smaller businesses than having an in-house IT department with just one employee. And, it can cost much less over a given period than using only occasional IT support and emergency IT services. Reduced Risk — Implementing cloud solutions that improving cyber-security for your important stored data, and upgrading your network and internal IT systems security reduces your business’s risk of being victimized by hackers. It also helps avoid significant data loss that can impact your company’s reputation and profitability. Shoring up your system’s security protects your customers, employees and your business. Increased Company Value— Adding state-of-the-art IT platforms and the additional services and revenue channels they enable to your operations increases the value of your company’s total business assets, a primary consideration for lenders and VC investors who may be essential to your growth strategy over the next years. Increased Customer Retention— Investing in state-of-the-art integrated communications, customer relationship, remote access to work files and tools, and IT management to optimize efficiencies transforms your company and defines your brand as one that is customer-centric. Communications and service-optimization technology can significantly increase process speed and accuracy, customer service thoroughness, timeliness and consistency of follow-ups, and can enrich cross-departmental collaboration between areas of operations, which can be expected to yield an improved customer experience and satisfaction, and increased repeat purchasing and referral business. Reduced Operating Costs — Migrating to VoIP cuts phone systems equipment and monthly operating costs. CRM systems reduce time expenditures for sales, call center, admin support, and customer services staff to manage processes and resolve issues, which means more time for working referrals, upgrade sales and other proactive revenue-generating activities. And, your Managed IT Services specialists can implement software systems for order fulfillment workflow processes, as well as project management programs, such as one of the many in the class of flexible platforms, to help get your production processes flowing more efficiently than in the past. In addition to implementing technologies in 2019 to improve your business’s communications, empower employees, increase sales and increase customer retention, there are many IT tools for branding. Just some of these include digital signage, video walls, digital information and ordering kiosks, online catalog displays, automated sales websites with sales and service helper bots, custom apps, social pages oriented to customer care and customer forums. These and other modern digital branding tools can present your business as an ultra-modern force in your industry—an image that assures prospective and current customers of your team’s superior efficiency and quality. Many technologies can serve your strategic business goals in 2019. However, for a growing business in the digital era, adding value to your company’s core sales, production and customer services is likely to offer the most significant IT investment value. Regarding measurable ROI, and in promoting a level of customer satisfaction that yields the most effective word-of-mouth for your business across your customers’ powerful social platforms, the emphasis is on filling out the IT essentials for optimization of sales, order fulfillment and service operations. Alltek provides Managed IT Services and Strategic Technology Consulting Services for small to mid-sized businesses in Lakeland and throughout Polk County, and Hillsborough County Florida. Our managed services specialists help our client companies maximize speed, efficiency and security of business IT networks and internal systems. We help business owners identify previously missed opportunities for increasing competitiveness, revenues, customer service quality, and business profitability through their IT. Our strategic IT planning experts guide businesses through the most cost-effective approaches to positioning IT systems to scale with growth and to generate revenue increases through untapped opportunities inherently enabled by optimal IT tools. Happy Holidays and Best Wishes for a New Year of Success in Your Business Enterprise! This December, treat yourself to the gift of understanding your IT systems and the greater financial possibilities of better-informed business IT planning. Contact Alltek Services at (863) 709-0709 to schedule a complete no-obligation assessment of your business IT and telecommunications systems.